We spent most of the day travelling south towards the Belize border. 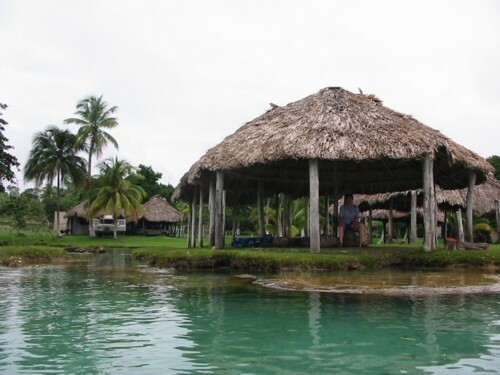 We stopped at a great property overlooking a freshwater lagoon near Chetumal and camped for the night. The family had lots of dogs (more than seven) who nosed around our truck looking for scraps at dinnertime. 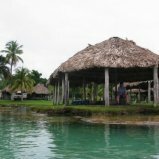 In the morning, we swam in the lagoon which was wonderfully warm and stopped in at Chetumal before heading for Belize. It’s goodbye to Mexico for now – and it’s about time! There’s lots to see in Central America, so we’re looking forward to seeing some new countries.